Prime Suspect meets Ashes to Ashes as we see Jane Tennison starting out on her police career . . . 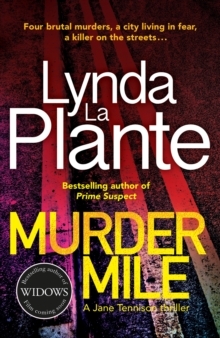 The fourth in the Sunday Times bestselling Jane Tennison thrillers, MURDER MILE is set at the height of the 'Winter of Discontent'. Can Jane Tennison uncover a serial killer? February, 1979, 'The Winter of Discontent'. Economic chaos has led to widespread strikes across Britain. Jane Tennison, now a Detective Sergeant, has been posted to Peckham CID, one of London's toughest areas. As the rubbish on the streets begins to pile up, so does the murder count: two bodies in as many days. There are no suspects and the manner of death is different in each case. The only link between the two victims is the location of the bodies, found within a short distance of each other near Rye Lane in Peckham. Three days later another murder occurs in the same area.